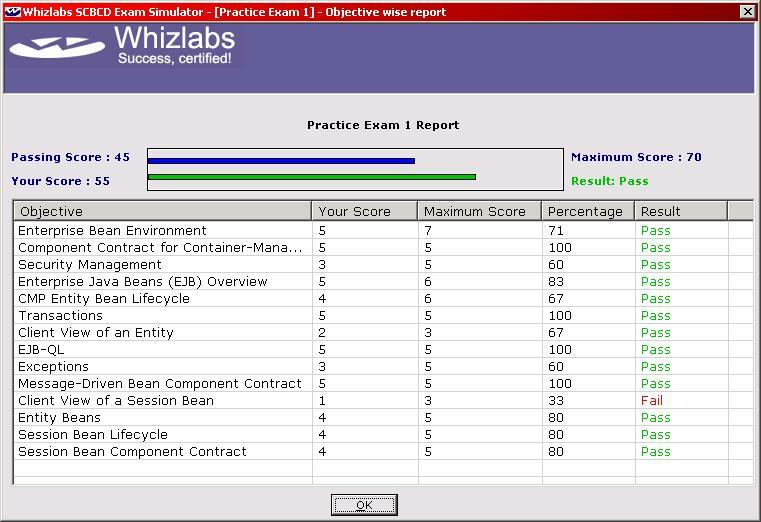 Whizlabs have added another excellent product to their stable of exam simulators - aimed squarely at candidates preparing for the Sun Certified Business Component Developer (SCBCD) exam (exam 310-090). Whether they will be able to handle the format of the exam (will they understand the way the question is laid out / will they be able to identify the correct answer(s). 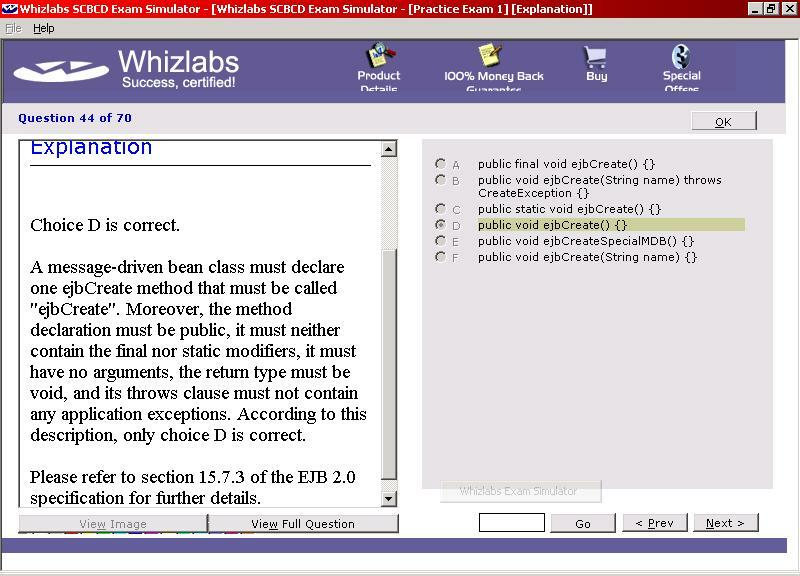 The exam simulator will not teach you how to program EJBs, but it will get you used to the types of questions that are used in the exams and highlight the areas you are weak in. 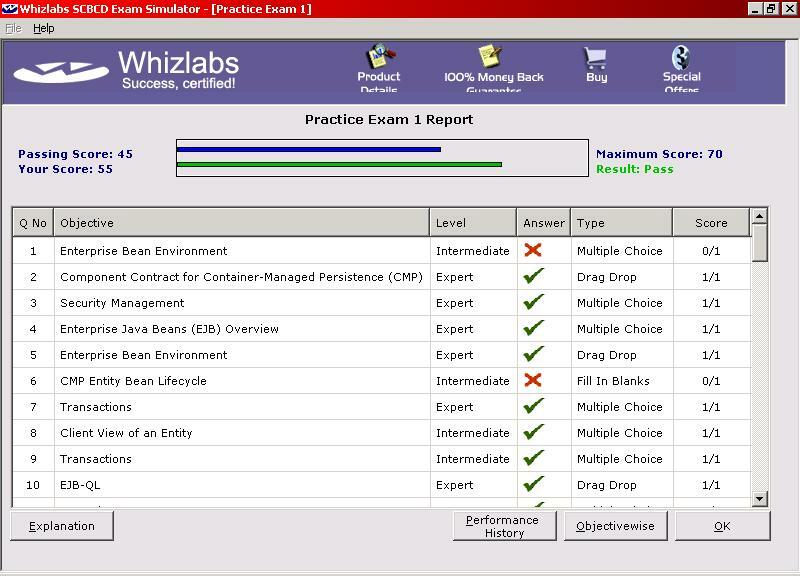 Whizlabs have ensured that all styles of questions that you will see in the real exam are also used in the mock exams, including the new “drag and drop” formats. All topics which are required for the SCBCD certification are covered in detail, with 350 questions in 5 exam simulations (one "Diagnostic" exam to identify your strengths and weaknesses, 3 "Practice" exams, and one "Final" exam for you to take prior to taking the real exam). There are roughly 25 questions per major topic in Sun's exam. As well as the 5 exam simulations, a "Quiz" and a "Customised Exam" are also offered to help the candidate concentrate on one particular area of study. 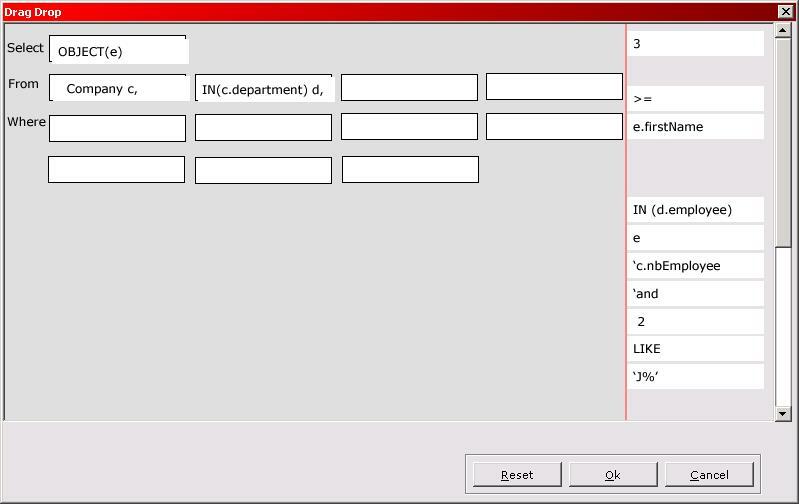 So if you are concentrating on the EJB-QL criteria, you can choose to do a quick quiz on questions just relating to that criteria, where questions are popped up onto screen and you have 5 seconds (customisable) to answer the question. Or you could choose to create a customised exam containing as many questions on EJB-QL as are available. Like the real exam, the exam simulators are timed. If you have still have time remaining when you have answered all questions, you may go back and review your answers. A report is also available showing numbers and percentages of correct answers per exam criteria, making it easy to determine which areas require further study. You may save your results from each trial exam, quiz, and customised exam, allowing you to come back and view your answers again at a later date, and to see how you have progressed. You may also take the exams multiple times, and compare your results with previous attempts. In conjunction with a good book on EJBs (or even just the specifications), this software will be a very resource in your quest to become a Sun Certified Business Components Developer. 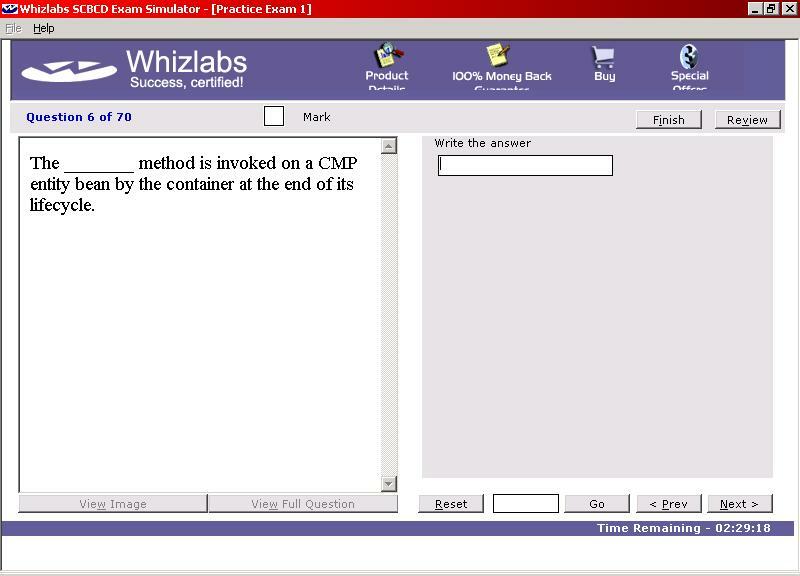 Whizlabs are so confident that you will pass the exam after using their simulator that they offer an unconditional money back guarantee in the unlikely event that you fail.